Designs from Valdrome are some of our favorite examples of classic Provence fabric. Now produced by STOF, this Kalian design is elegant and timeless. 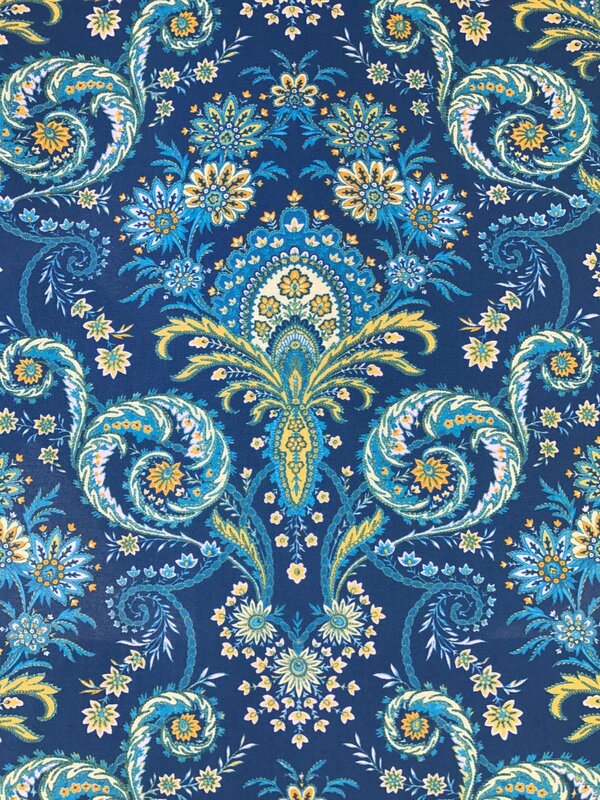 This soft cotton print is perfect for home decorating projects, sewing, or quilting. The 100% cotton fabric is approximately 62" wide. Vertical repeat is approximately 12.75 inches.